"Selma" is the perfect title for Ava DuVernay's brilliant new film. It crystallizes a seminal moment in the 1960s Civil Rights Movement in America through demands for justice, non-violence and a radical transformation of the collective conscience. "Selma" goes behind key moments and through specific points of an arduous, deadly Bloody Sunday journey of March 7, 1965, in a mosaic of nuance, terror and triumph. Pulsing with humanity, grace and power, "Selma" is a grand yet intimate look at process: the process of achieving justice, the process of a time, place and evolution of a people and, crucially, of a movement and a country. Ms. DuVernay's film is an immersive, tactical, strategic colloquy and at times an electrifying public debate about the question of a people's very existence and their right to exist and participate in a supposed democracy. And "Selma" is extraordinary. Violence punctuates and competes with the film's verbalized de jure injustices: Annie Lee Cooper (Oprah Winfrey) faces barriers to entry in enfranchisement at her voting precinct in Selma to register. The scope of these two polar opposite cadences -- violence and vocalization -- are given large, unblinking canvases as movies in their own right, magnified in their American time and present. The issue of the right to vote for Blacks in 1965 is the centerpiece upon which "Selma" stands. This issue is the Old Glory flag in the sand that Ms. DuVernay, and the Civil Rights Movement of yesteryear (and now) plants. The U.S. Supreme Court however, yanked from the soil the American flag that Ms. DuVernay has now metaphorically re-planted, when it struck down a key part (Section 4) of the 1965 Voting Rights Act in 2013, thereby keeping alive the questions "Selma" re-establishes and, hence, Black people's enduring struggle for justice. The U.S. Supreme Court decision of 2013, which said that voting was no longer an impediment to Blacks in states where a legacy of discrimination existed, relied on the idea that because President Obama was elected, times were therefore different. One of the states the Court's evisceration of what Dr. King and so many fought for? None other than Alabama, the state from which the city of the film's title belongs. The decision, Chief Justice Roberts wrote in 2013, is "based on 40-year-old facts having no logical relationship to the present day." Justice Roberts' tone-deaf view of progress is a satellite view held by large numbers of people about a continuous struggle and illustrates why Ms. DuVernay's film is so important, and why she uses "Selma" to sound the alarm to spark and awaken a new generation and energize, edify and inspire them to action. 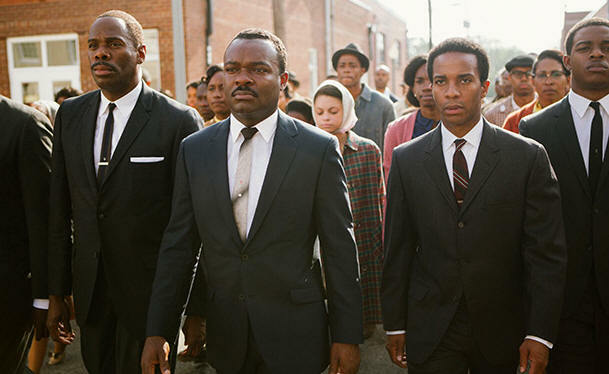 Given recent events, pride and emotion will swell even more so within all who watch "Selma". "Selma" is an instant classic, a film that will be revered and applauded throughout the annals of American history, long after we are gone. It is in its renewed and fully-calibrated look at very recent American history in this fertile and volatile present-day American social and political climate that "Selma" achieves its greatest heights. The film is a vitally necessary reeducation of an American public, some of whom, like Chief Justice Roberts, may insist that enduring progress has been made. Progress and process are key measuring sticks. And as "Selma" shows, for Blacks and for America, steps are gained, but can also be quickly knocked down or scuttled, either by violence or a decision. In setting the table of its tense, atmospheric stage, "Selma" covers America's systemic and centuries-long attack on the Black body and the Black body politic. There's a series of psychological and physical punishments (mostly the latter) that burn holes through your heart. Some of these episodes arrive without warning, which is usually how violence strikes. Shocks to the system. And your conscience. If there's Frederick Douglass and Abraham Lincoln talking in 1863, then, 100 years-plus later, Martin Luther King and Lyndon Baines Johnson are talking. "Selma" shows the process of discussion, the stages of graduation upon which Blacks have had to fight for to be afforded the basic dignities of America's promise. In Mr. Douglass's day it was the question of a graduation from enslavement. In Dr. King's, the right to vote and exercise the preciousness of the franchise. In Barack Obama's day, the right to vote unencumbered in the South (through Chief Justice Roberts' decision) and elsewhere (through voting machine manipulation by corporations) as well as the continuing violence by the state (in Missouri, Ohio, New York, Arizona, Utah and everywhere) against Blacks. The poster for "Selma" keenly reflects Barack Obama's day, as well as 1965, and it, like the film itself, is timeless. "Selma" illustrates the Black non-violent civil disobedience struggle in an innately violent society. Each element of that struggle has distinctly identified names and faces of people many may not know. These brave, determined and often unsung individuals are calibrated and given full voice, through Paul Webb's screenplay, lensed through Bradford Young's great cinematography and Ms. DuVernay's superb direction, in the best-directed film of 2014. "Selma" covers all the bases. So does Aisha Coley's magnificent casting. That said, Mr. Oyelowo's stunning performance is rich, and he breathes life into Dr. King by allowing King to breathe as a human being. Mr. Oyelowo's King is measured, unwavering and very unlike the staid, safe-for consumption portrait the media often cultivates. "Let me hear God's words," he intones to a famous singer when times get perilous. We see the toll, the price, the physical and mental travails on Dr. King. Strikes of violence are not isolated or limited, and exist as distinct punctuations amidst a verbal percussive and persuasion to America, and to the White House, where Dr. King has been assiduously lobbying LBJ (Tom Wilkinson, in good form here). There's layers of voices and layers of violence, and throughout "Selma" these clash as discordantly as possible. Voices? Or violence? Which of those will ultimately win out? Much of the director's own fresh breath of life for Dr. King is to correct the hagiographic rendering history has often bestowed upon him. The Dr. King that America and the world has heretofore known is a safe, polished man, viewed as perfect -- as destructive a packaging as Sidney Poitier's character in "Guess Who's Coming To Dinner" (1967) ever was. Ms. DuVernay humanizes Dr. King in a way that no previous film on television incarnation (even that of the late, great Paul Winfield). "Selma", a cultural touchstone and restorative film, is a careful update and inclusion of the expanded spectrum of players on a global stage. King, and the Civil Rights history gets a fulsome replenishment for today. That Ms. DuVernay gives diverse voices (women, young, old, white and Black) their proper place on the mantelpiece of Americana and as American patriots, is not only significant but reaffirms the unassailable truth that a movement never dies, even if some of its figures do, but even more to the point -- that the fallen are always remembered. Fittingly, the film is titled "Selma", which gives Ms. DuVernay the appropriate latitude to make an even greater, salutary and impactful film that encompasses the contribution of all towards making America a greater, more hospitable place. One reason "Selma" is so very alive is its dual activist parchment: it retools and more accurately depicts the realities of the people then who fought for today, while portending and galvanizing the present generation that fights for tomorrow. "Selma", even apart from today's headlines, is constructed as a very vivid and present experience. Its unflinching look at state violence and its pictorial representation of what some today argue so fervently for --"state's rights" -- aka the right of the state to brutalize and block Black voters at will and pervert the very process some white Southerners then (and some whites in all places today) claimed to believe in, ring deep and true. The film is a salute and reaffirmation of the most quintessential American right: the right to protest and the enduring right to non-violence. This principle flies in the very face of the violence America was founded on. And it is boldly and defiantly displayed in "Selma", one of the year's very best films. In "Selma" amidst the violence and racist recrimination is an intellectual discussion, organization and strategy, and it is riveting. The film not only behaves as a self-referencing as living, breathing 1960s drama it self-identifies to the present as a document placed squarely and unabashedly in the lap of today's younger generation. 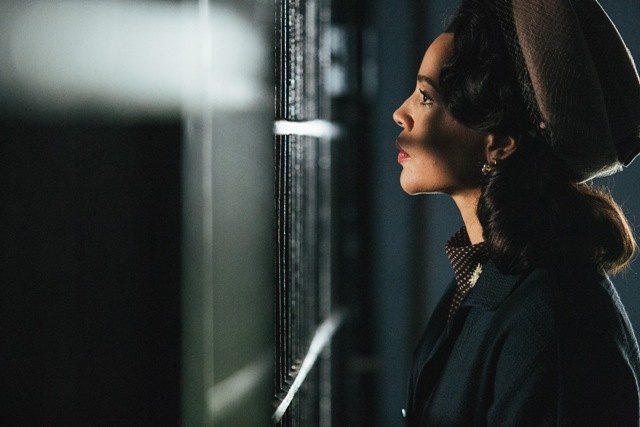 Also with: Carmen Ejogo, Tessa Thompson, Common, Wendell Pierce, Stephan James, Colman Domingo, Andre Holland, Giovanni Ribisi, Tim Roth, Lorraine Toussaint, Niecy Nash, Dylan Baker, Alessandro Nivola. "Selma", which opens on Christmas Day (December 25) in Atlanta, New York City, Los Angeles and Washington DC, and everywhere else in the U.S. on January 9, is rated PG-13 by the Motion Picture Association Of America for disturbing thematic material including violence, a suggestive moment, and brief strong language. Its running time is two hours and eight minutes.